Sporty middle class with all-round carefree package. Weighing just over 14 kg, the trekking bike with aluminium frame is available in two frame shapes and shines with a sporty all-round carefree package for everyday use. 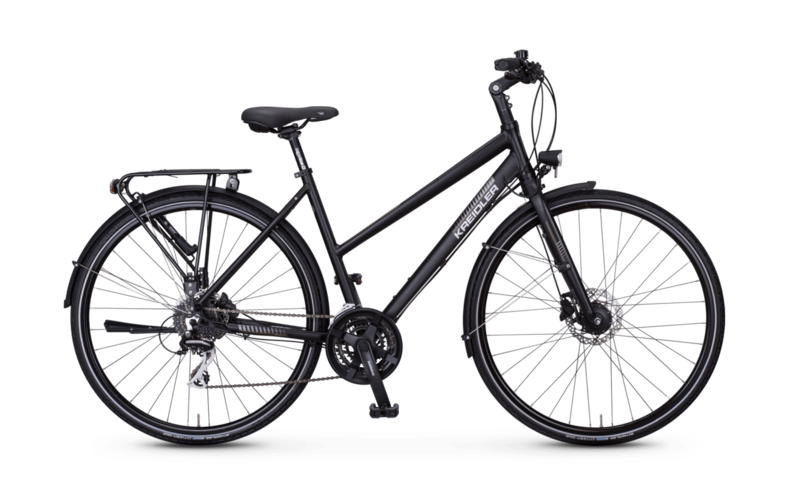 Thanks to the 24-speed Acera derailleur system from Shimano, the rigid aluminium fork and the proven Schwalbe Citizen tyres, the trekking bike is particularly suitable for fast tours. The ergonomic handles of the Herrmans brand, a comfortable saddle from Selle Royal and an angle-adjustable stem ensure sufficient comfort.